A familiar chant resurrected, Fratton Park once again buzzed to the recognisable name. Temporarily, Jamal Lowe had been upstaged by somebody registering a presence 340 miles away, an impact which could be later be regarded as pivotal to the promotion race. Conor Chaplin may no longer be one of Pompey’s own, yet forever remains one of Pompey’s own. His goal-scoring entrance from Coventry’s bench finally settled a see-saw Stadium of Light encounter 5-4 in the visitors’ favour. A maiden League One defeat in 20 matches does not demolish Sunderland’s patiently-constructed promotion challenge. Nonetheless, for the first time during this congested pursuit of second spot, the outcome resides in Pompey’s hands. Kenny Jackett’s men are five wins away from returning to the Championship. Capitalising on that game in hand will blunt the threat of Barnsley, while victory over Sunderland later this month would diminish their danger. As for Charlton, a Blues full house would condemn them to remain at least a point behind, lagging behind in the slipstream. The simplicity is beautiful – five victories. Presently basking in five-straight League One wins, they are halfway there, with the majority of forthcoming fixtures also encouragingly scheduled for Fratton Park. At Wembley, Chaplin roared on Jackett’s men sat among the Fratton faithful. 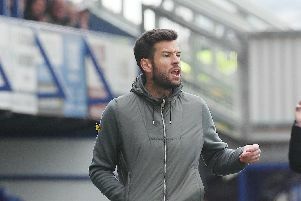 On Saturday, he savoured the Black Cats’ destruction at first hand to intervene in the promotion scrap. Little surprise that ‘He’s one of our own’ rang around the striker’s former stomping ground during the 4-1 success over Rochdale. Of course, for all Chaplin’s undoubted heroics, in truth the challenge facing the Blues remains daunting, far-fetched even. In such a scenario, promotion would rely on 10-consecutive wins overall. Include the Checkatrade Trophy success and the season could conclude with 11-straight victories. Dismissing the romanticism and straying into sobriety, it represents an improbable outcome, irrespective of determination to succeed. It could occur, granted. The likelihood, however, is that while Jackett’s men are strongly placed, clearly there exists a propensity for complications during the run-in. It’s football – it’s Pompey. Still, a wonderful opportunity exists, the Blues admirably manoeuvring themselves into a tantalising position following defeat at Charlton 38 days ago. The dismantling of Rochdale on Saturday has officially secured play-off qualification. Yet sights are trained considerably higher at present – and rightly so. Jackett has rejuvenated a flagging side which some feared would not scrape into the play-offs having led League One for three-and-a-half months earlier in the campaign. Lowe is the talisman, a man-of-the-match display consisting of one goal and two assists. Pompey’s 16-goal top scorer has now netted five times in the last eight games. Remarkably, his inspirational performance arrived 72 hours following the birth of son Dexter during the early hours of Wednesday morning. Dropped to the bench for two matches in February having appeared jaded and lacking that customary spark, the winger has roared back into form with timely brilliance. It is a given that should the Blues fail to reach next season’s Championship then they will lose the services of Matt Clarke. Well, the ever-flourishing Lowe is just as susceptible. For now, though, both remain, the backbone of a side which will compete in the play-off semi-finals at the very minimum this term. Certainly the club are blessed with a number of players who have roared back to form since a post-Christmas lull threatened to produce one of the all-time low capitulations from some-time league leaders. With the excellence of Lowe’s displays restored, others back on track include Lee Brown and Gareth Evans, while Oli Hawkins and Nathan Thompson have returned from injury. Not forgetting, of course, the re-emergence of Brett Pitman, whose successful penalty against Rochdale signalled a fifth goal in six starts since allocated the number 10 role. Incidentally, in terms of netting Pompey goals since December 1998, the former Bournemouth striker now trails only Yakubu, who leads with 43. Pitman has reaped 37 in just 77 matches. 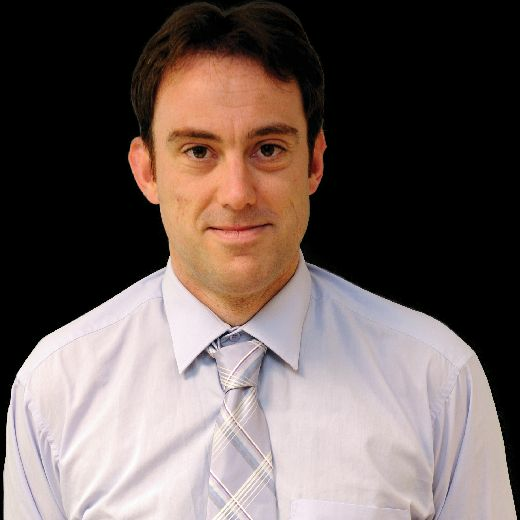 Evans, another scorer against the Dale, is presently in fifth, with 32 – just one behind Hall of Famer Svetoslav Todorov. Goals exist within this team and, such was their attacking quality against Rochdale, the goal difference was bolstered by three. Considering the bottleneck which has developed around second spot, that factor may become decisive. 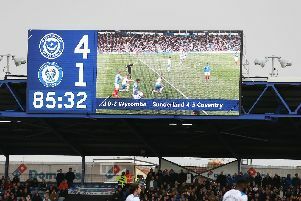 Sunderland began the day with a goal-difference advantage of six on Pompey – their lead was whittled down to two by the end of it. For the visit of Brian Barry-Murphy’s side, Jackett had dropped Evans in favour of restoring Ronan Curtis to the left of the attacking three. Elsewhere, loanee James Vaughan was omitted from the squad completely, Louis Dennis instead involved in the match-day 18 for the first time in 13 games. It took 21 minutes for Pompey to break the deadlock. Lowe had the beating of Joe Bunney down the right, not for the first time of the afternoon, and his cross was brilliantly steered home at the near post by the head of Oli Hawkins. On the stroke of half-time, a sublime passing move culminated in Lowe playing Nathan Thompson inside and his charge into the box was halted by Ethan Ebanks-Landell’s clumsy challenge. It was a cast-iron penalty, with the reliable Pitman doing the rest, sending Josh Lillis the wrong way to make it 2-0. Rochdale pulled one back on 54 minutes when the unmarked Aaron Wilbraham pounced with a first-time right-footed finish past Craig MacGillivray following a rapid counter-attack. Not to fret, substitute Evans, on for Curtis, had been on the pitch for five minutes when he restored the hosts’ two-goal advantage on 62 minutes, calmly heading home Lowe’s right-wing cross from four yards out. The scoreline was wrapped up on 79 minutes when Lowe netted a thoroughly-deserved goal. Lee Brown laid the ball back to Clarke and he clubbed a booming left-footed clearance upfield, with centre-half Jim McNulty struggling to deal with the bounce. Pressured by Lowe, the winger managed to latch onto the ball and crash it right-footed into the net from a tight angle. Effectively promotion is in Pompey’s hands, an overwhelming reason to be cheerful. Next up are Barnsley-conquering Burton, followed by Sunderland-destroying Coventry, demonstrating the demanding task ahead. The Championship is five wins away – buckle up, it’s going to be a hell of a ride.